“There.” He pointed from afar. 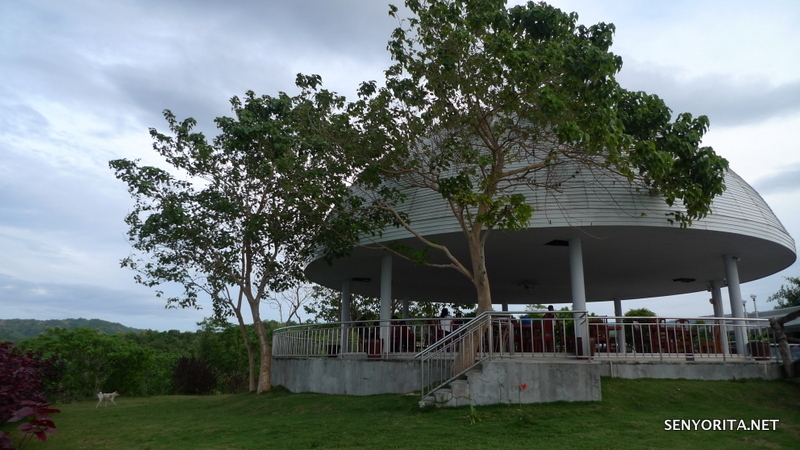 Triad Coffee Shop is located at the top of a mountain in Larena. Reaching this place is quite an adventure. With the red wrangler, Dylan managed to drive up the hill. 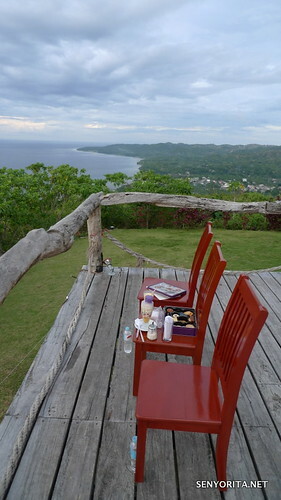 The goal is to catch the ‘best Siquijor sunset’ and at the same time satisfy my mocha cravings. My first day in Siquijor is a productive one. We were able to visit some good resorts (Kawayan Holiday Resort and Danish Lagoon), unspoiled beaches (Paliton and Planta Beach) and even swam in the Capilay’s Spring Park. The best way to end this afternoon roadtrip is by drinking coffee while waiting for the sunset. We finally reached the destination. I’m glad that Dylan is not that tired from driving. 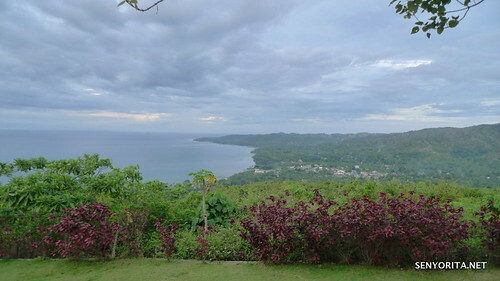 He told me that not all tourists visiting Siquijor can reach this area, but the view from above is fantastic. And he was right! I went straight to the view deck and took some photos. The coffee addict in me prompted to put down the camera for a sec and order iced mocha. “Sorry, but we ran out of stock” the lady said. “What about any other type of coffee?” I asked out of frustration. “Not available, ma’am. I’m sorry” the apologetic lady said. Uh oh. I’m glad the view from above is nice. Dylan ordered Halo-Halo (highly recommended) and I think I ordered a fruit shake. With assorted cookies as baon, we were able to enjoy a simple merienda. The sun is hiding from you! Dylan said jokingly. Huhu. No coffee and no sunset? To compensate from this epic failure, we end up exchanging stories about Siquijor. It was in this part of the trip that I found out that Siquijor is called ‘The Island of Fire’ because of the Fireflies and the Christopher de Leon incident that took place many years ago. It’s almost night time when we left Triad Coffee Shop. Again, it is a challenging drive down. Thank God Dylan is good in driving! 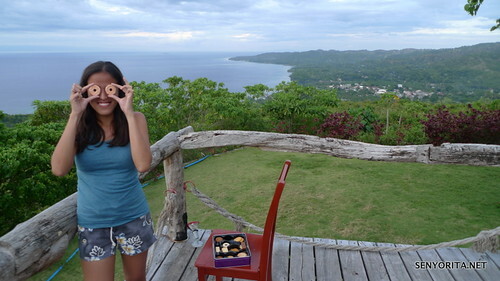 If you want to see a good view of Siquijor, I suggest that you visit Triad Coffee Shop. You can see other islands like Dumaguete and a bit of Mindanao from above. No coffee and no sunset?! The awesome view is still worth it, I reckon. parang di ko to nakita… syang!